COVER OF THE MONTH: PATRICK ZIRCHER - SPIDER-ISLAND: THE AMAZING SPIDER-GIRL #2 (OF 3) What do you get when you take a classic Spider-Man image, then swap Peter Parker for Wilson Fisk? 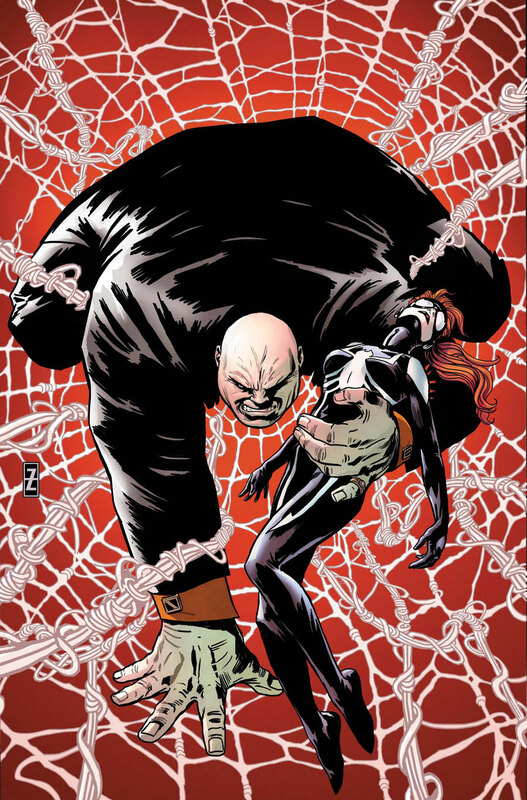 A predatory but wicked cover that really is Kingpin of the comic racks. CLOSE CONTENDERS: Kaare Andrews - Ultimate Comics Ultimates #2, Gabriele Dell'Otto - New Avengers Annual #1, and Marcos Martin - Daredevil #4. 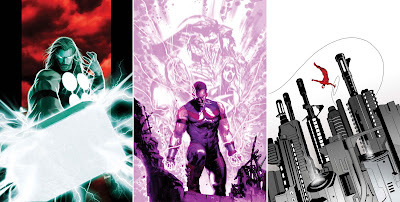 For more Marvel September solicits click the jump. What!! David Aja's wolverine cover did not make your cut? Ha! Thought you might think that was missing when I put the four together IFF! Good call though it is a great cover!